Unfortunately, dog deaths and injuries due to car crashes are not so uncommon these days. Although they enjoy roaming freely on the back seat of your car, you must think about their safety and use a dog car harness for strapping them to the seat. Learn more in guides like this post here. This may seem harsh and it may take your pet some time to get used to it, but try thinking about it this way: in a car accident, your dog’s safety harness will save it from flying through the windshield and prevent it from causing injuries to your passengers, keeping it safe in its place. 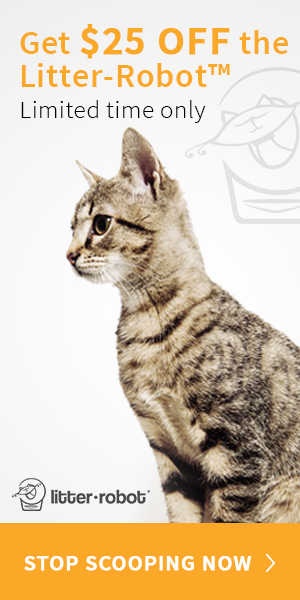 Be responsible and get your pet a safety harness, so that both of you will be able to enjoy a care-free ride. The EzyDog Drive Car Harness is a high-quality crash tested safety harness, designed to fit your dog perfectly and ensures it a comfortable and safe ride. It is lightweight yet robust, with strong stitching for more safety. The chest plate is padded, long and wide enough for adequate support and control without hurting your dog. The harness is easily threaded by a car’s seat belt and is equipped with a special locking system that uses a strong magnet. Moreover, there are no complicated clips or buckles for you to struggle with. You have to take the time to read the instructions and tighten the harness correctly, so your dog doesn’t have a chance of escaping it. This may take some practice, but once you get it right, the harness will stay adjusted to your dog’s physique and no additional actions will be needed from that point on. To attach the harness, simply lay it down on the floor and have your dog step in, thread it and you are good to go. This harness has a dual purpose, as it can serve as a walking harness, as well. It comes in three different girth (area behind front legs) sizes, specifically: small (28-64cm), medium (38-86 cm) and large (49-106 cm) and can be additionally adjusted by using measure markings along the webbing. Although there are no clear rules and standards when it comes to the animal safety harness characteristics, manufacturers have recognized the need of creating a high-quality product and decided to crash test it. They have chosen the Automotive Safety Engineering facility in Australia, which has been recognized for certification of child safety seats in the USA, Europe and Australia. All three harness sizes succeeded in saving test dummy dogs in various car crash simulations. The harness is constructed with strong, high-quality materials, which are soft and breathable at the same time. This is great news for dogs with a lot of hair, as they will be safe and comfortable during the rides. However, the hair gets caught in the Velcro parts and regular maintenance is a must. You will be able to keep your EzyDog Drive Car Harness in top condition by regularly hand washing it with a mild detergent and leaving it to dry in a shady spot, away from direct sunlight. Check your harness regularly for any possible damages, such as chew and bite marks, cut webbings, pulled stitches, or sun damage. As a responsible owner, you must take care of your dog’s needs and have to make its car safety a priority too. 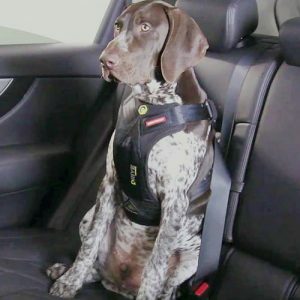 If you wish to purchase a high-quality product that has been carefully tested and certified by a trusted facility, the EzyDog Drive Car Harness is the right choice. The revolutionary design and soft, breathable materials will make your dog feel comfortable and help him or her easily adjust to the new way of being in your car. The embedded D-rings quickly transform it into a walking harness, allowing you to enjoy your moments together without any additional straps, clips, buckles, or equipment needed.